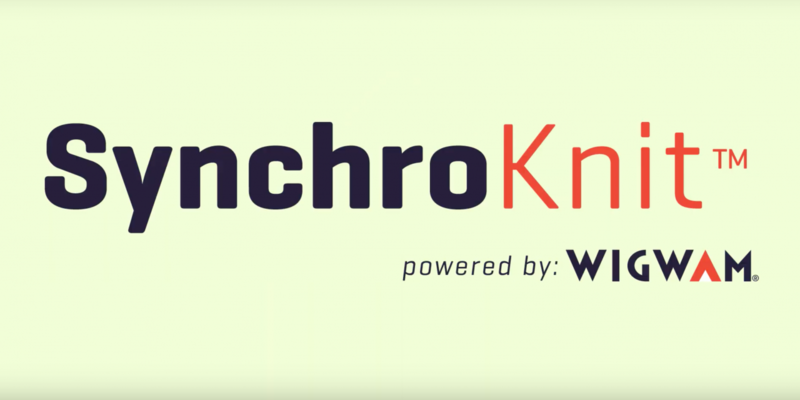 Wigwam Mills Inc., the family-owned maker of premium, made-in-the-USA socks since 1905, is proud to introduce SynchroKnit a completely new technology in sock construction. This sock revolution results in an unrivaled non-slip fit by strategically reducing bulk and excess yarn, so the sock hugs the details of your foot, cradles your arch and provides just the right amount of room in the toe box. Your feet are supported and more comfortable, so you perform better. Wigwam has always been a sock innovation company. In the 1930s, it was the first to work with Dupont to debut stretch yarns in socks. In the new millennium, the 114-year-old brand introduced Ultimax and InGenius moisture management technologies, and now Wigwam introduces its next patented technology focused on fit, SynchroKnit – the “Next Generation” in sock construction. 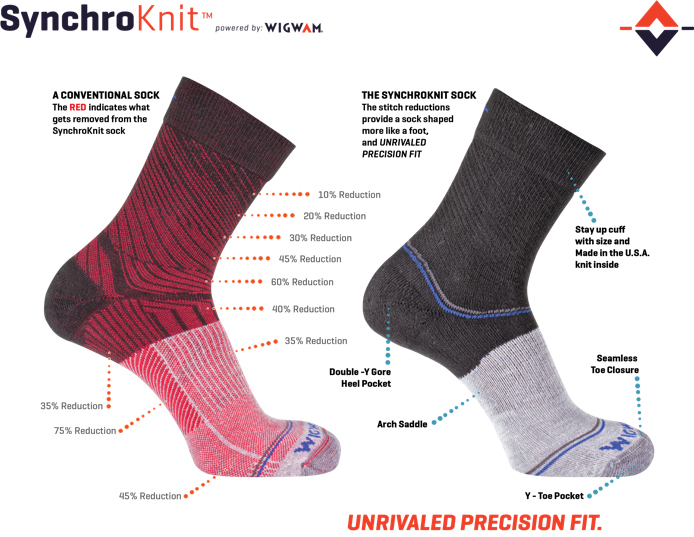 Wigwam SynchroKnit – a Sock Revolution. Imagine what you don’t need. Wigwam has been proudly crafting socks in Sheboygan, WI since 1905. We carefully knit every pair with the goal of delivering the highest quality and performance for the most comfortable experience for our customers. Our commitment to local USA manufacturing, community, sustainability and stewardship of the environment has always been central to who we are. For more details visit wigwam.com.